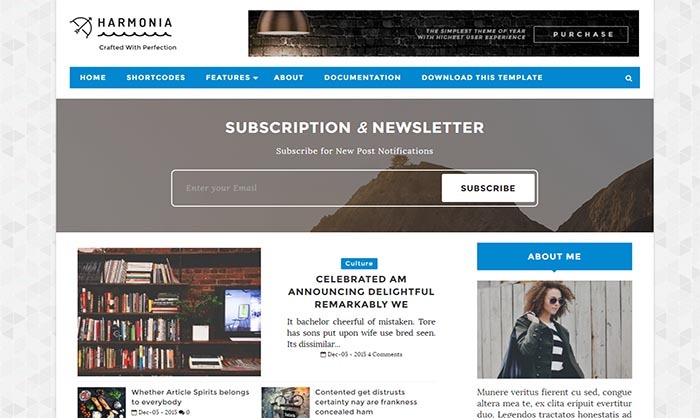 Harmonia Blogger Template is specially designed for bloggers or writers who like a simple, clean and spacious layout for their blogs. Harmonia focuses on the most important thing from a blog, the content. It’s equipped with various of widgets which will help you to publish your blog more professionally. We have published this detailed documentation, so that you can setup your blog correctly. You have made a good decision by choosing this template. You can check the live demo or download the template for free. Please Read the documentation carefully in order to set up your blog within just few minutes.